Hi friends and fellow travelers! I have returned from almost a week in Iceland and am very excited to blog about it. After doing many city breaks in the past few years me and my husband decided to go for a bit of wild and nature holiday. Iceland had been on our lists for a while now and I was super excited about it. We wanted to go to Iceland because we are both very outdoorsy and really love nature, and we knew Iceland is a haven for those kinds of activities. 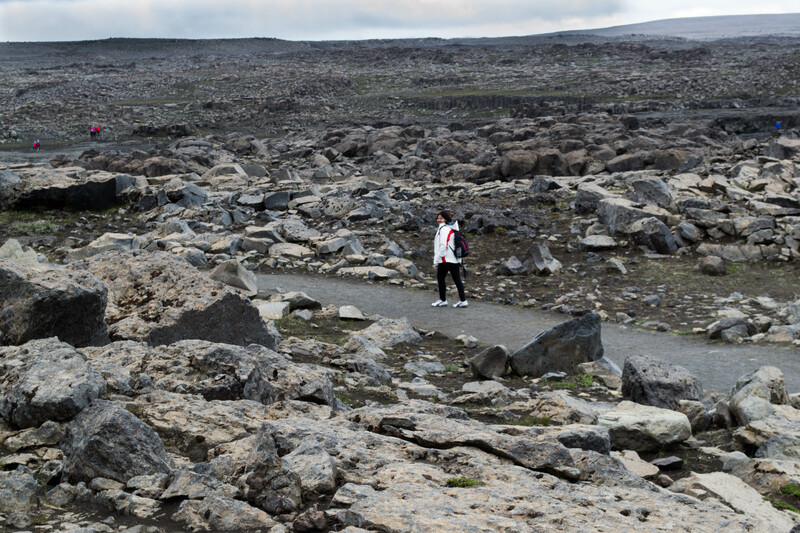 We have always found it a fascinating place, stunning to see in pictures and once you reach there; the lava fields, glacial valleys and ancient folklore of Iceland never fail to captivate. Whether navigating the exquisite landscape on foot, in a Super Jeep, or in the comfort of a private coach, you’ll always be in awe. The sense that you are in the company of the elves, trolls and the sword-wielding heroes of Viking legend is impossible to shake. Next day we decided to go Whale watching. 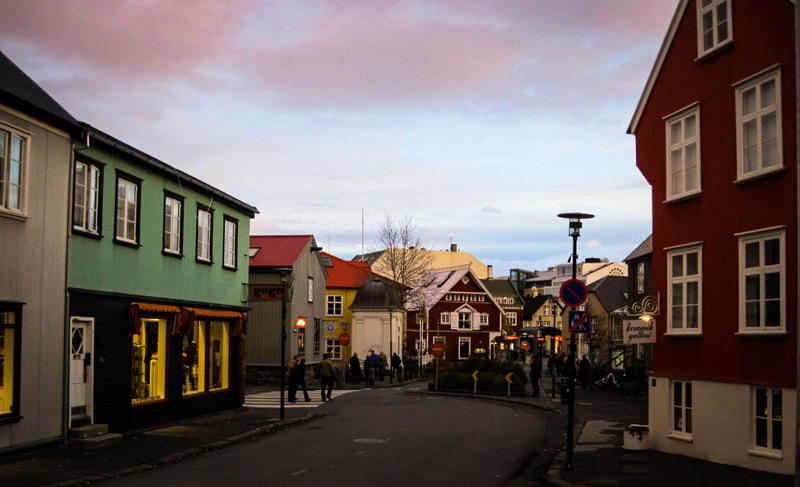 Though Husavik in North Iceland is best known for its Whale Watching we decided to give it try in Reykjavik. Now I believe Whale watching is a contact sport where you fight the elements while looking for incredibly fast and elusive creatures that care nothing whether you see them or not. 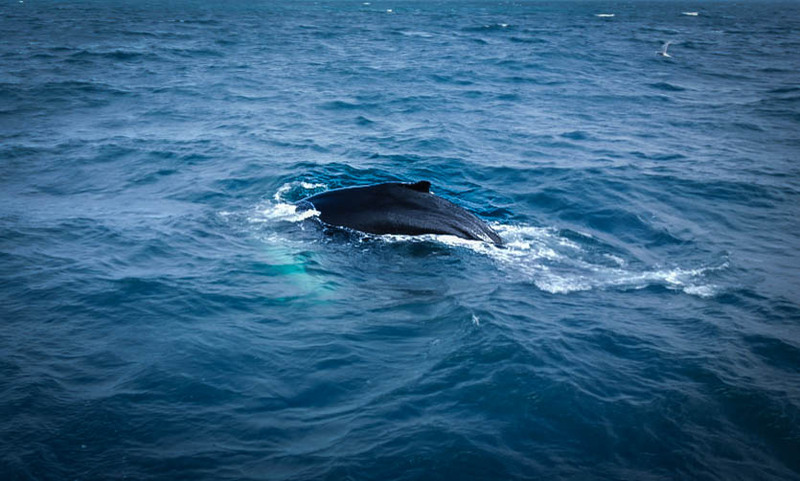 You need to move fast and contend with other people who are trying to catch a glimpse of the whale on a moving and wet boat. 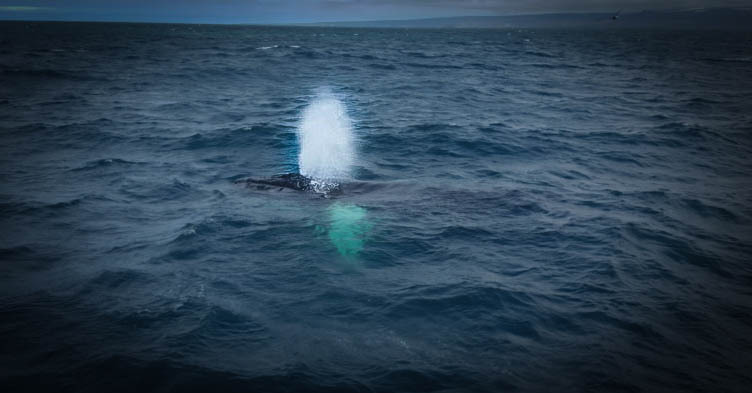 Things are slippery, the wind is blowing hard from the frigid north and the whales move fast. We sailed in the morning with a very strong wind and rough sea. Finally after an hour of sailing we spotted 2 Minke Whales but very briefly. 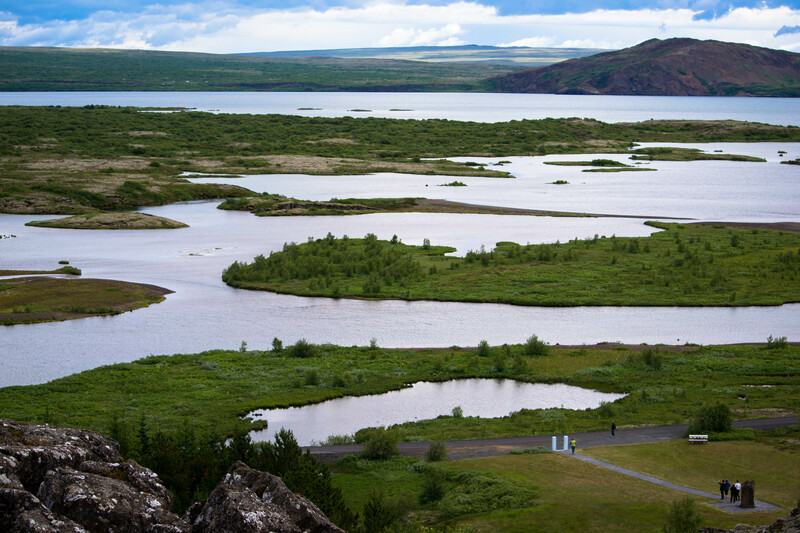 Now a trip to Iceland is incomplete without doing the Golden Circle tour. 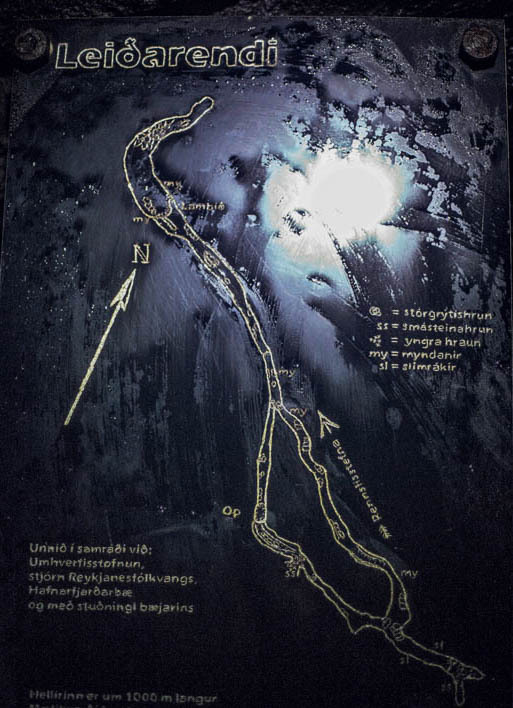 The Golden Circle is the name given to a 190 mile (300 kilometer) circular route from Reykjavik and back which encompasses many of Iceland’s most famous landmarks. 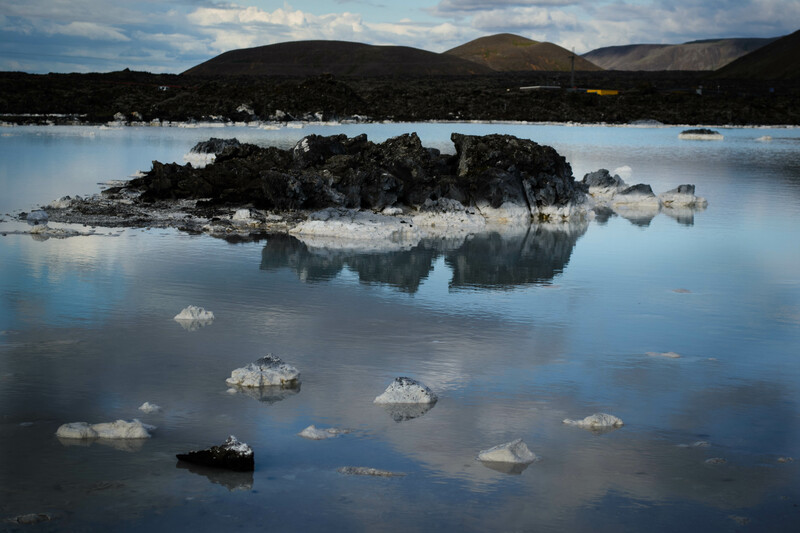 It is considered Iceland’s most typical road trip and sort of pilgrimage for every visitor in Iceland. 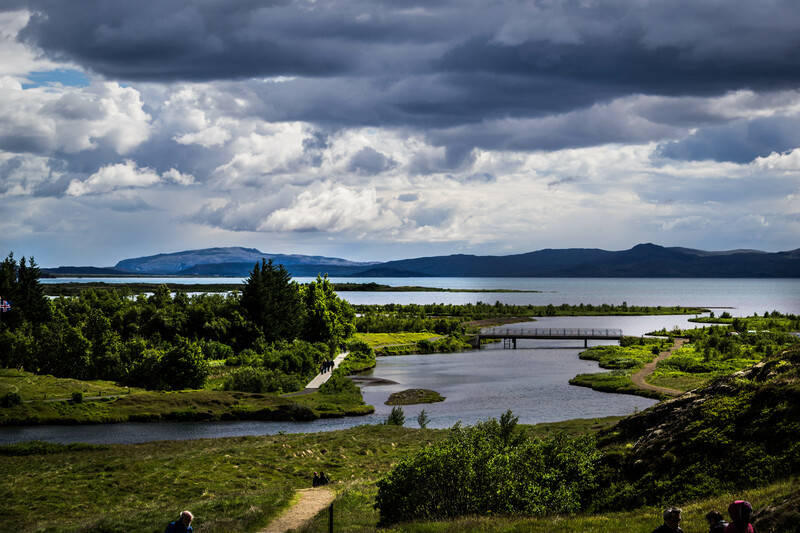 How could we miss this… The first stop was Þingvellir National Park (Thingvellir). What fascinated me so much about this national park was that it sits between two tectonic plates—those for North America and Eurasia. You’re literally standing between two continents. The area of Þingvellir is basically a giant fissure between the tectonic plates and you can see the boundaries of the earth’s crust! 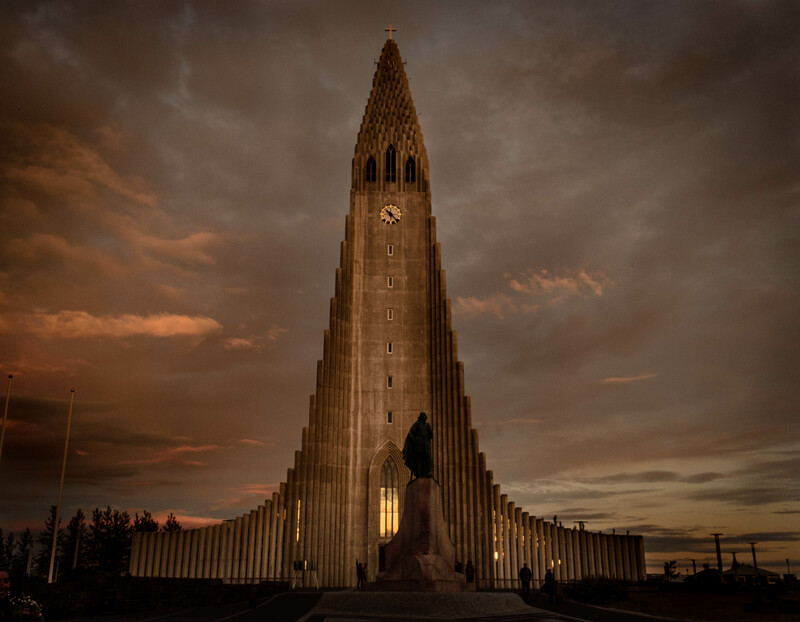 It is also the most historic site in Iceland; it was where the Vikings established Alping, the world’s first democratic parliament in AD 930. 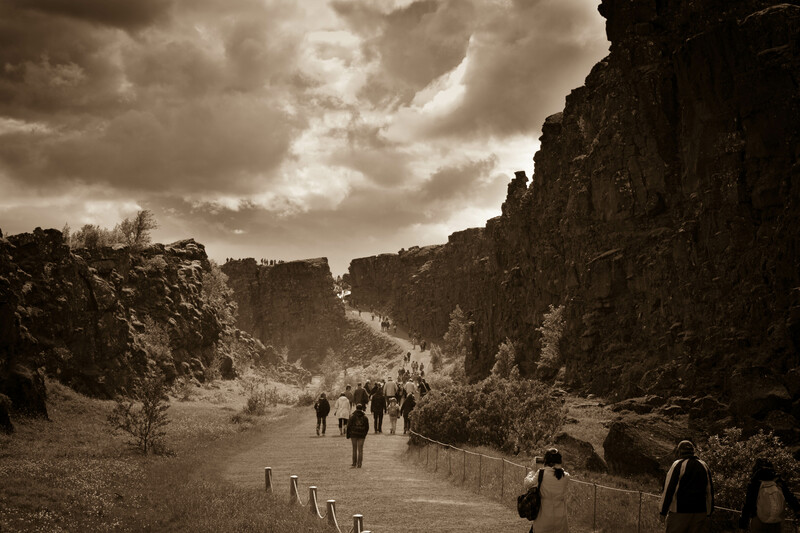 Almannagjá Rift is about 4.8 miles/7.7 km long and marks the eastern boundary of North American plate. 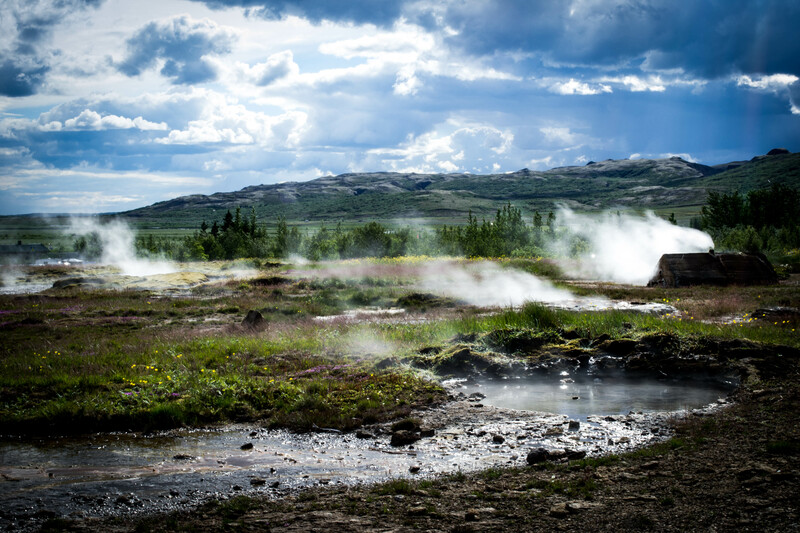 The next stop was at The Great Geysir, or Stori-Geysir, has been dormant since 1916 when it suddenly ceased to spout. The Great Geysir was among the most notable geysers in the world, such as those in Yellowstone Park (USA), New Zealand and North Iceland. 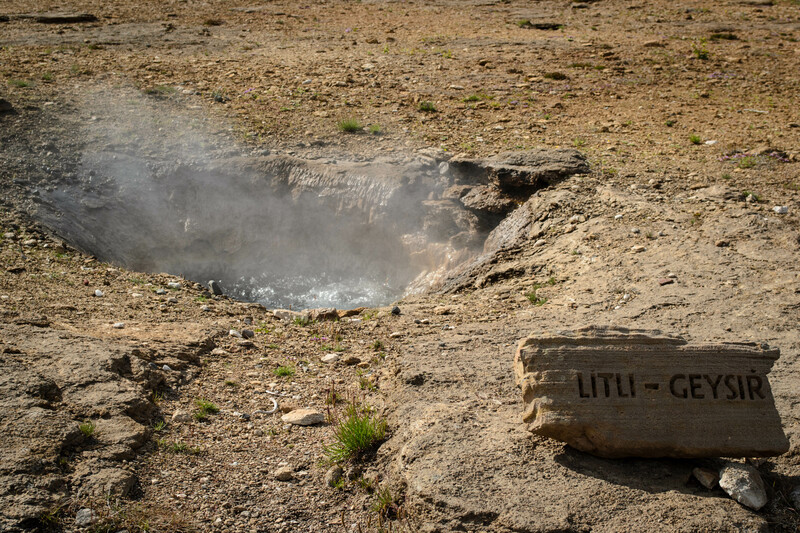 Though the Great Geysir itself is now more or less inactive, the area surrounding it is geothermally very active with many smaller hot springs. 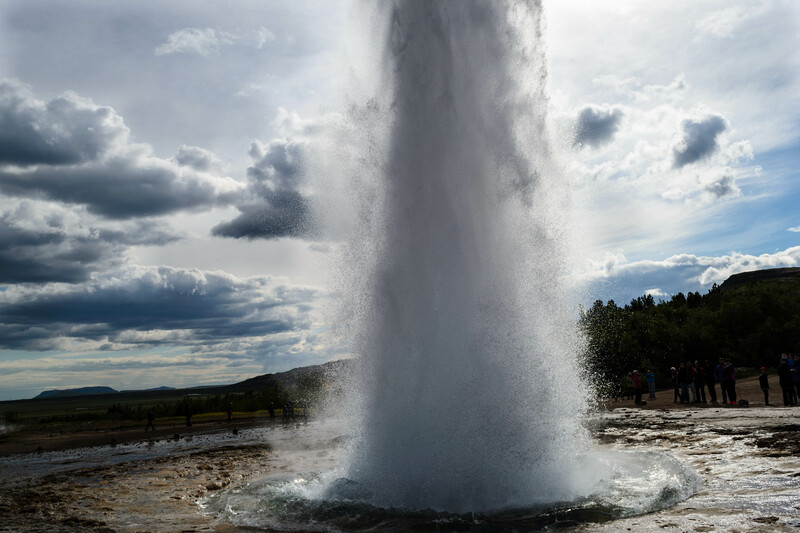 The attraction of the area is now Strokkur (The Churn), another geyser 100 meters south of the Great Geysir, which erupts at regular intervals every 10 minutes or so and its white column of boiling water can reach as high as 30 meters. 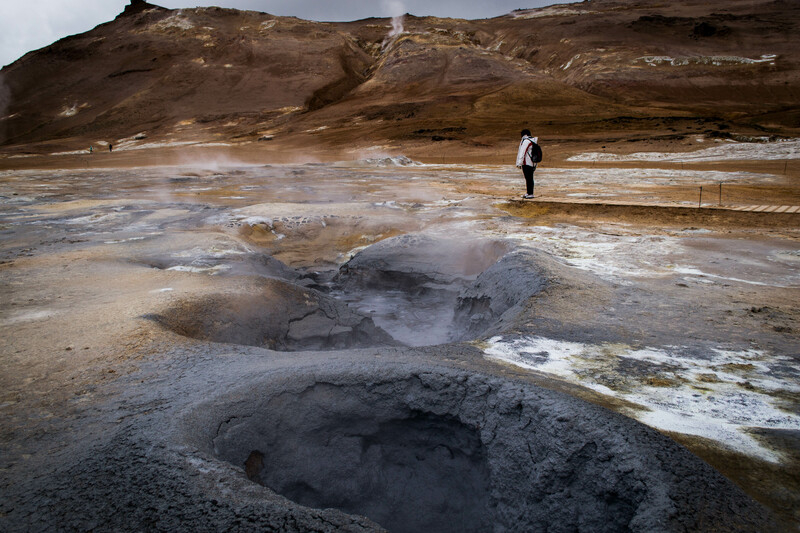 The whole area is a geothermal park sitting on top of a vast boiling cauldron. On the way to the Golden waterfalls we stopped to see the Icelandic horses. 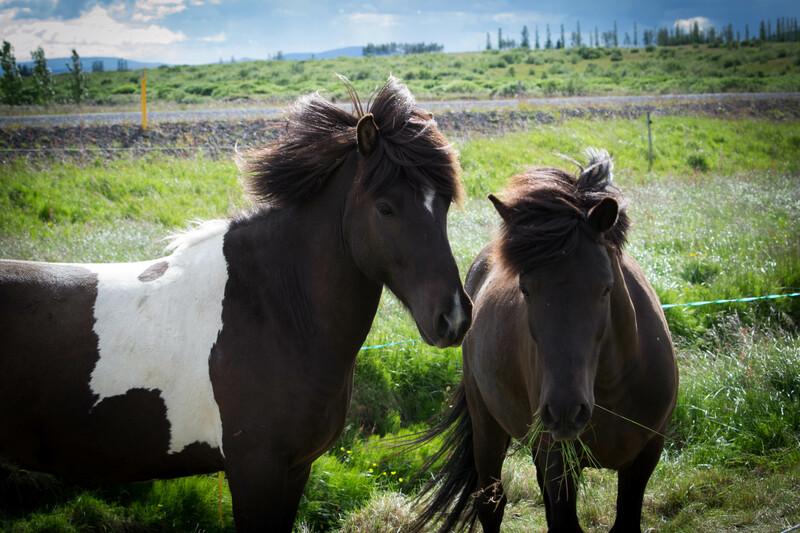 Most Icelandic horses have a long mane and just love to pose!! They are used in traditional farm work as well as racing and leisure rides. 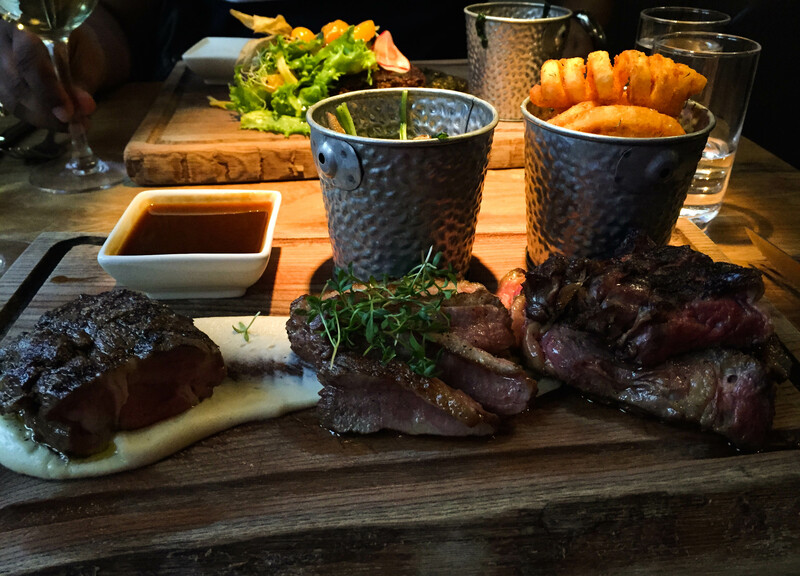 Horse meat dishes are typical features in the restaurant menus in Iceland. We also learned that Icelandic horses are one of the oldest and purest breed in the world. 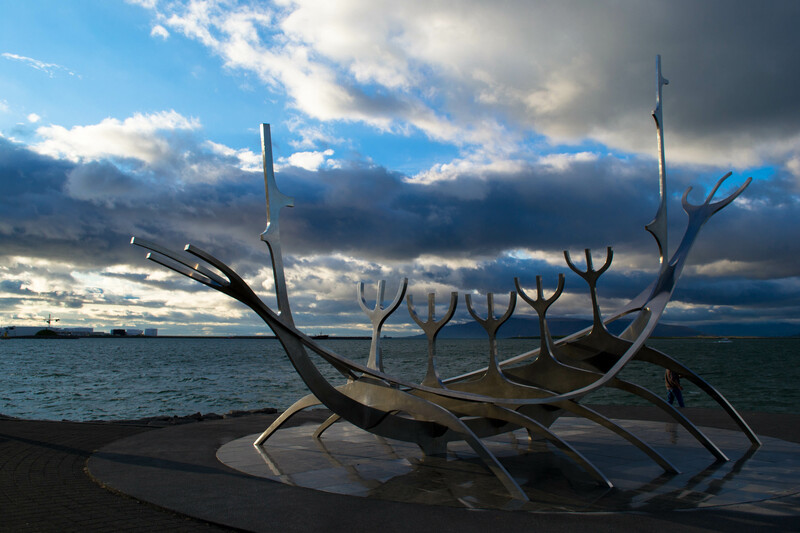 They were brought into Iceland by the Vikings in 9th century. They descended from the race that is already extinct in other parts of Europe but still survive in Iceland without crossbreeding. The last stop was Gullfoss Waterfalls. Dramatically situated in a canyon of Hvita River, the sight, sound and size of this double tiered cascade is absolutely breathtaking. In the 1920’s a group of foreign investors wanted to dam the river and the fall for hydroelectric project. The landowner (Yes, Gullfoss was once owned by a farming family!) refused to sell it to the investors but somehow the investors got permission from the government to build the project. In protest, the daughter of the owner walked barefoot to the parliament in Reykjavik and even threatened to jump into the waterfall. Fortunately, the investors were delinquent in paying the lease and that gave the government an excuse to cancel the agreement, thus, saving this great waterfall from destruction. 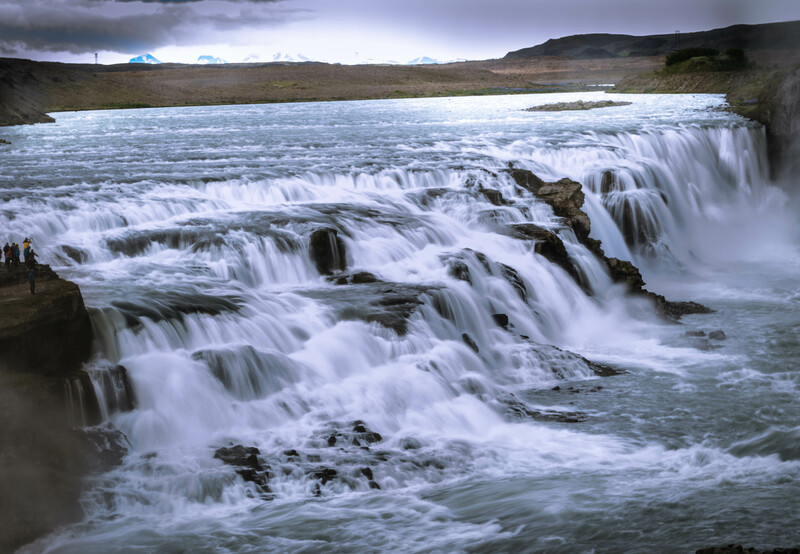 The family donated Gullfoss to the country in 1975 and has become a natural reserve. On day 2 we decided to take a short trip to North Iceland. 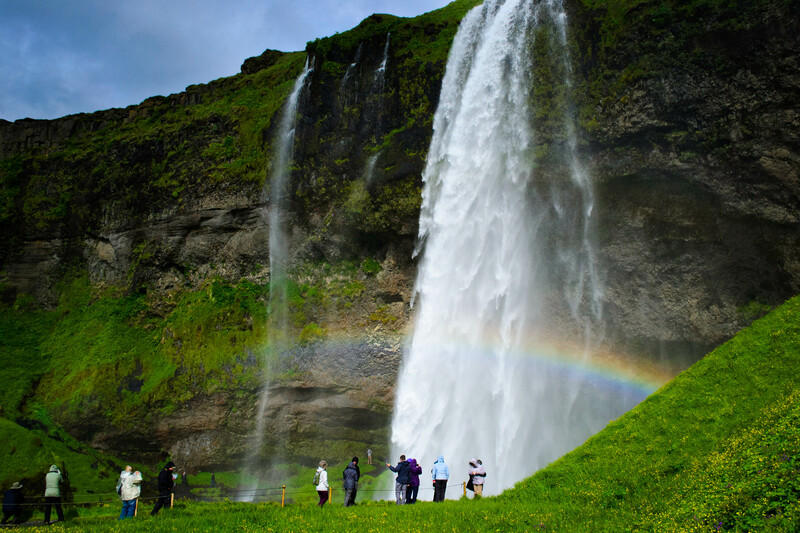 Because we wanted to see as much as possible in our limited time, we booked the “Dettifoss Grand Tour – Jewels of the North” with SBA-Nordurleid. 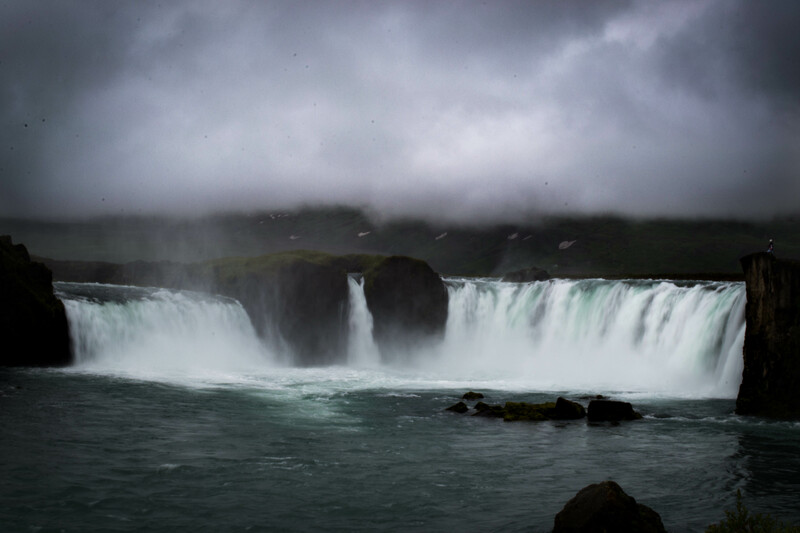 The first stop was at Goðafoss waterfall (waterfall of gods) where we stopped to take a few pictures. 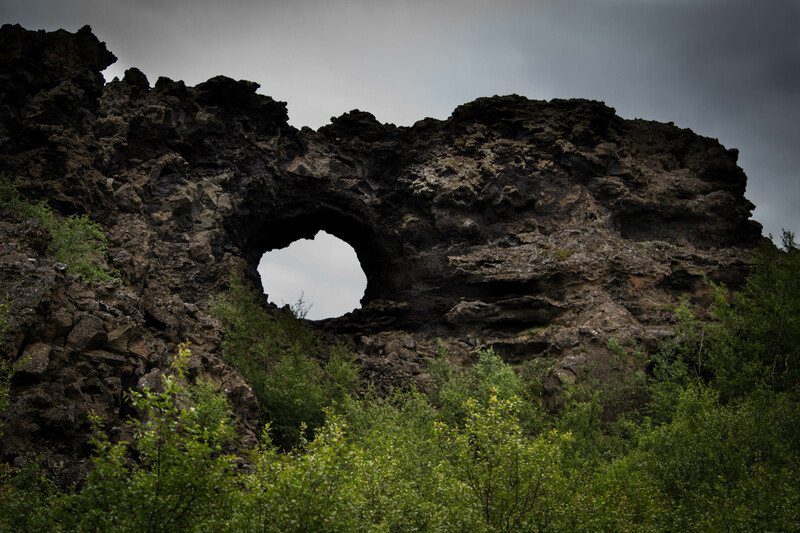 Then we made a stop at Dimmuborgir “The Dark Fortress” which is a true wonder of nature and nowhere else to be seen in the world, i.e on dry land. 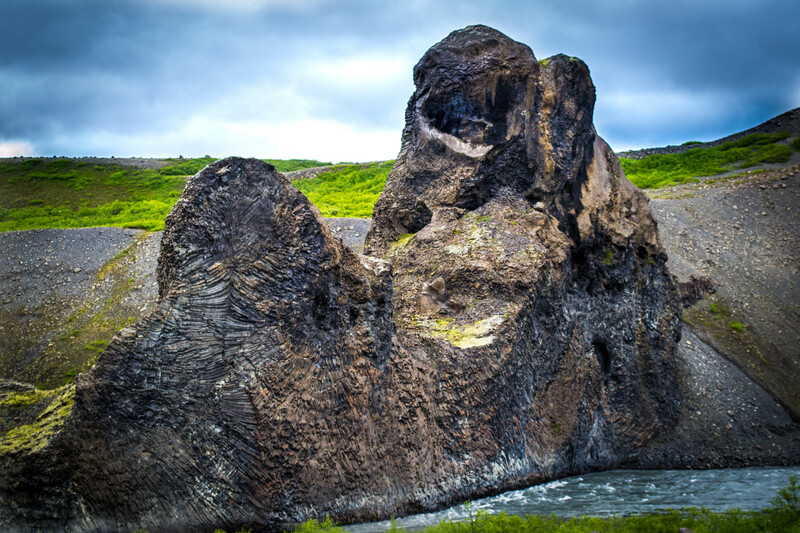 Dimmuborgir consist of are huge lava rock formations which make you feel like you stepped into another world – a world of fairy-tales. The formation of these extraordinary lava cliffs and pillars is caused by lava ponds, i.e. the hot lava streamed over these ponds trapping the water underneath the lava. Steam issued through vent in the lava pools and formed these pillars, which then remained standing even after the crust around them had gone away. The rocks are brittle and fragile because of how they came to be made, so there is no climbing on them. 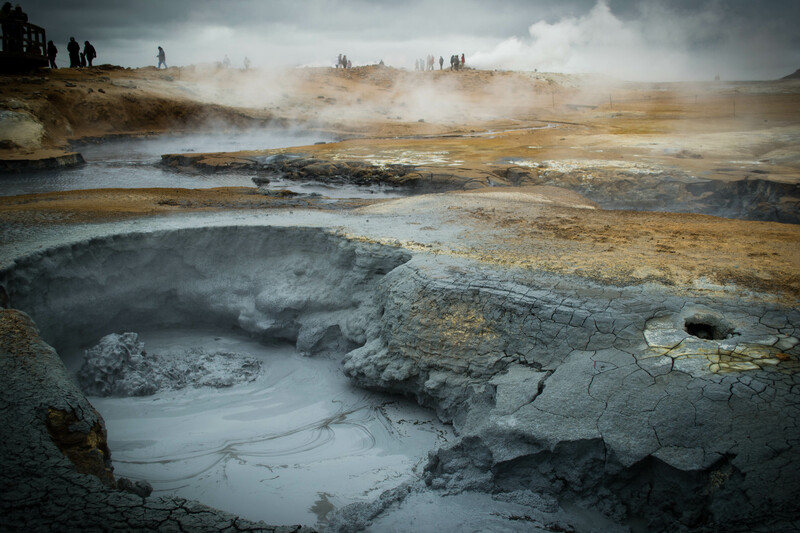 From the nature baths we continued to a real highlight, the bubbling mud pots of Hverir at the foot of the mountain Námafjall. There were walking paths, and we got enough time to wander around a bit in this very special and smelly and sulfurous area. 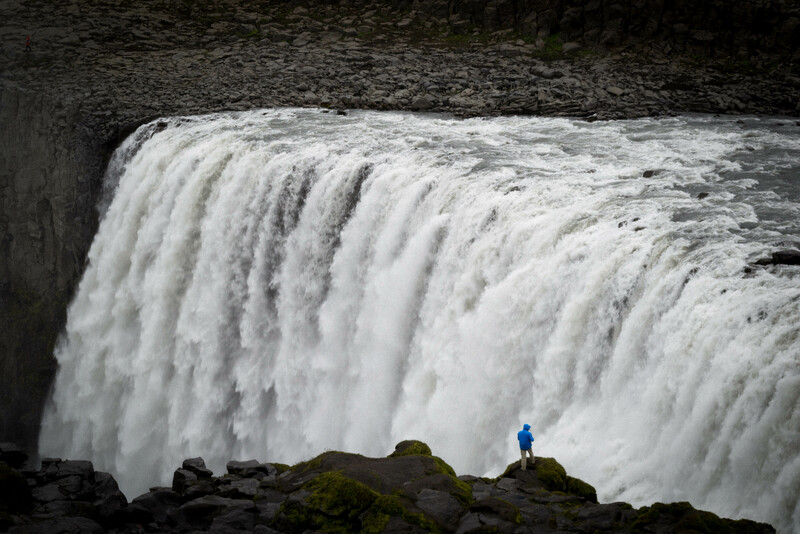 After just a short stop at the Viti Crater the next attraction was Europe´s biggest waterfall, Dettifoss. From the car park there was a short walk through moon landscape with an offshoot to the smaller Selfoss waterfall, which we unfortunately could only see from far away, because there wasn´t enough time. Still the sight of the Dettifoss more than compensated for it. It´s so much water and power cascading down the gorge and a true wonder of nature. Prepare to get a bit wet, if you should go there. We continued to travel to Hljóðaklettar (Echo Cliffs) where we walked there on a path leading to bizarre and impressive rock formations. It looked a bit like the set of a science fiction movie. There are many hiking trails, and it was quite worthwhile the effort. Our final stop was at Ásbyrgi, which is a canyon with impressive cliffs. We walked through a forest to the Botnsjörn pond, where you can see wild ducks and a serene pond beyond the steep canyon. 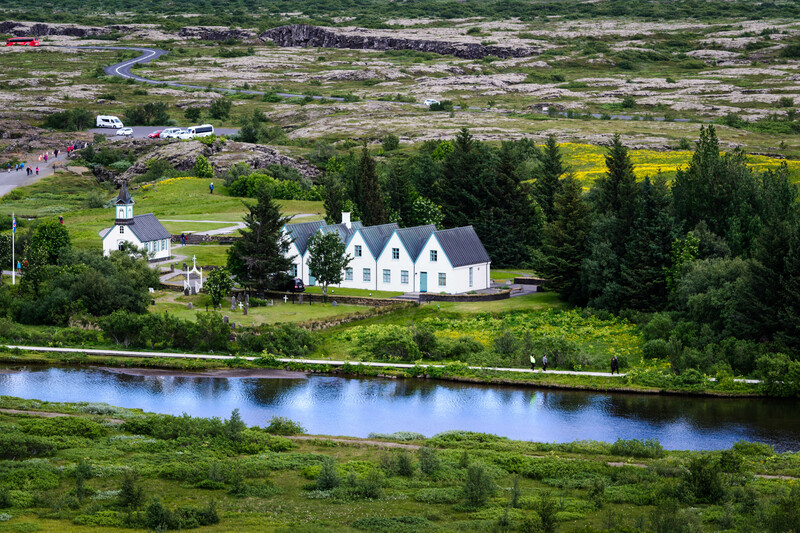 There are also a lot of hiking possibilities and Ásbyrgi also offers a campsite in the area. 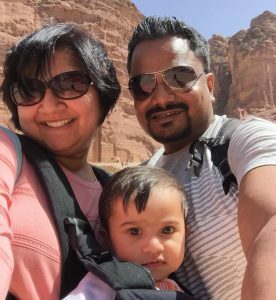 Day 3 – We decide to go a bit adventurous today by starting of our day with a Glacier hike. We signed up for a glacier hike in Solheimajokull, the glacial tounge of Mýrdalsjökull, Iceland’s fourth largest ice cap. Snoozing beneath this ice cap is Katla, one of Iceland’s biggest volcanoes. Iceland is indeed a land of fire and ice! 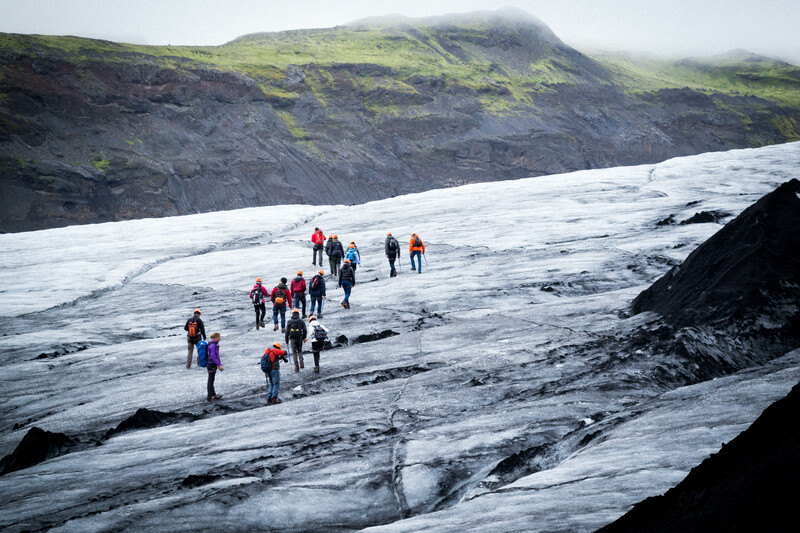 Sólheimajökull Glacier is covered in black volcanic ash, which collects in little black pools across the cratered surface. Looking down at the ice, it’s as though one is walking across a landscape of inkwells. When I first saw the glacier, I was a bit disappointed to see how dirty it looked. Most glaciers are marketed for their pristine white landscape, therefore that’s the image tourists have in mind until they finally have the opportunity to visit this kind of glacier in person. 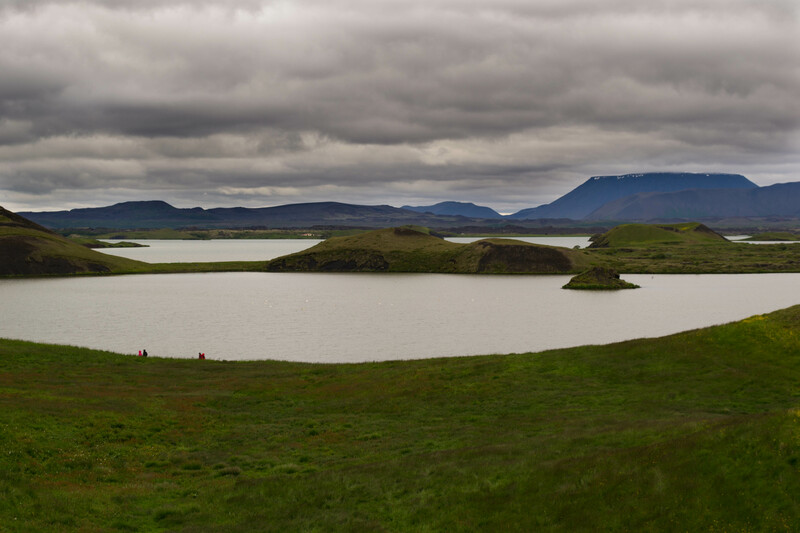 But the more time I spent on Sólheimajökull, the more I began to appreciate its unique landscape. The ash was a constant reminder of the geologic forces that created our planet, and continue to shape it to this day. During the winter, fresh snow covers much of it. 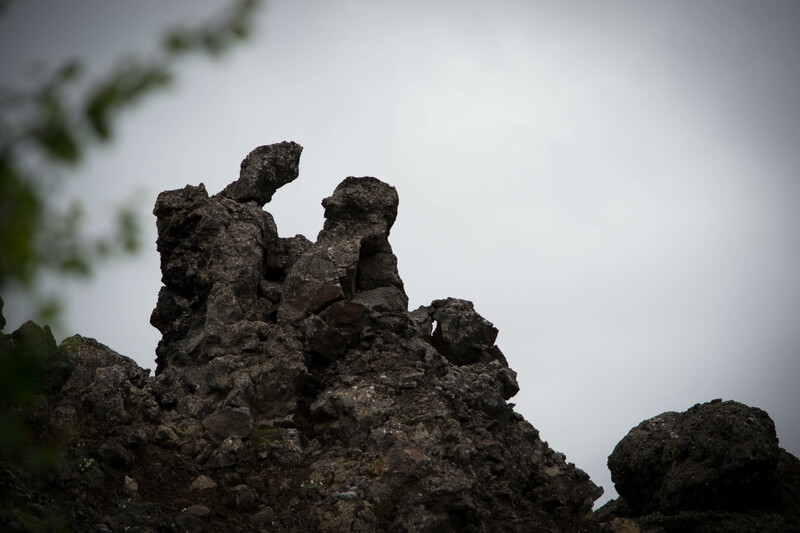 Our guide informed us that the coarser, pebble-sized ash was due to an eruption in the early 20th century, while the finer, silt-like ash was due to the more recent, 2010 eruption of Eyjafjallajökull. 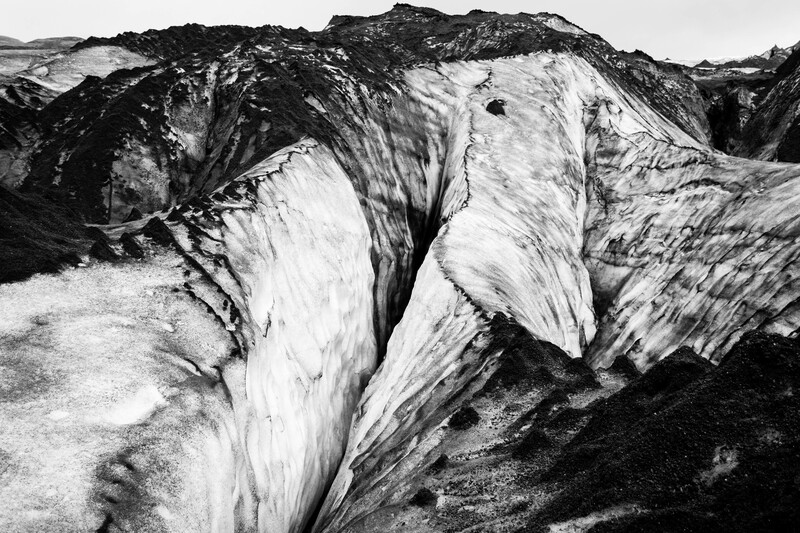 But sadly, like most glaciers of our world, Sólheimajökull glacier is rapidly receding. So the fact that we were about to go glacier hiking on this massive piece of ice felt incredibly special. Our guides from Extreme Iceland fitted us with crampons and gave us each an ice axe, which would be used as both a walking stick and to stop ourselves just in case anyone fell. Glacier hiking is no walk in the park. It can be extremely dangerous since the ice is always moving and changing. Snow can cover thin ice and crevasses. 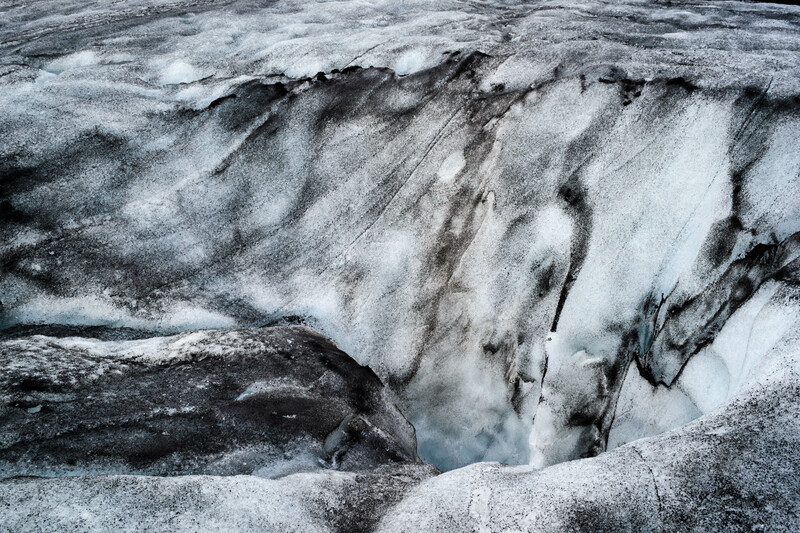 Surface water flowing down the glacier can form moulin, shafts in the ice that can be hundreds of meters deep. Basically, you don’t want to fall because if you survived, you’d probably have some broken bones. Our guide cautioned to use all our weight to dig the crampons into the ice as we walked. I heard the satisfying crunch as I stomped around on the ice like a grimacing five-year old. Up, up, up we went. The wind blew tiny pieces of ice across the glacier, our crunching interrupted by the tinkling sounds of ice dancing across ice. We walked for about an hour and on our way we also found an ice cave. Flowing melted glacier water sometimes creates caves like this and they can go quite deep. You can never be sure with the ice and the caves can be really narrow, so we did not go all the way inside the cave, but our guide thought the cave probably ran about 200 meters into the ice. After an exhilarating experience on the glacier we decide to drive towards the Reynisfjara beach (the black sand beach). 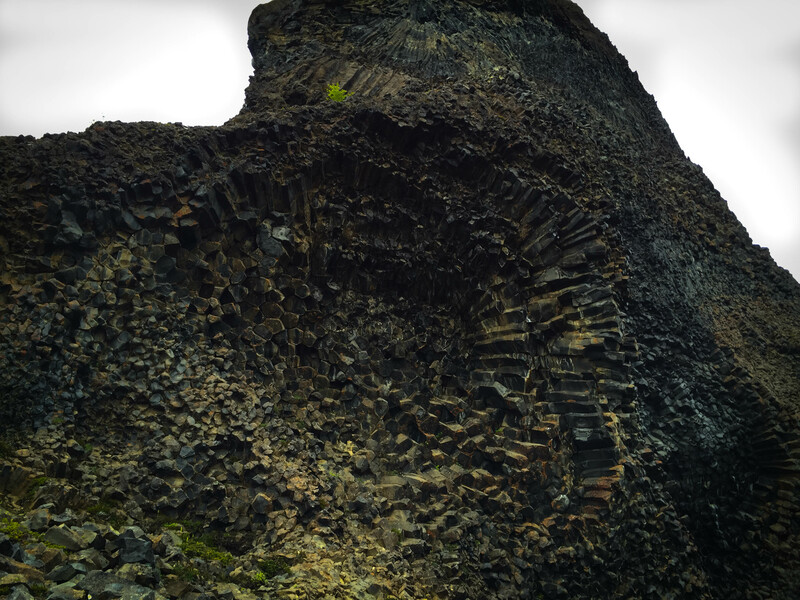 It has a really nice pyramid-shaped cliff of basalt columns called Gardar and a shallow cave with basalt columns that looks really cool. 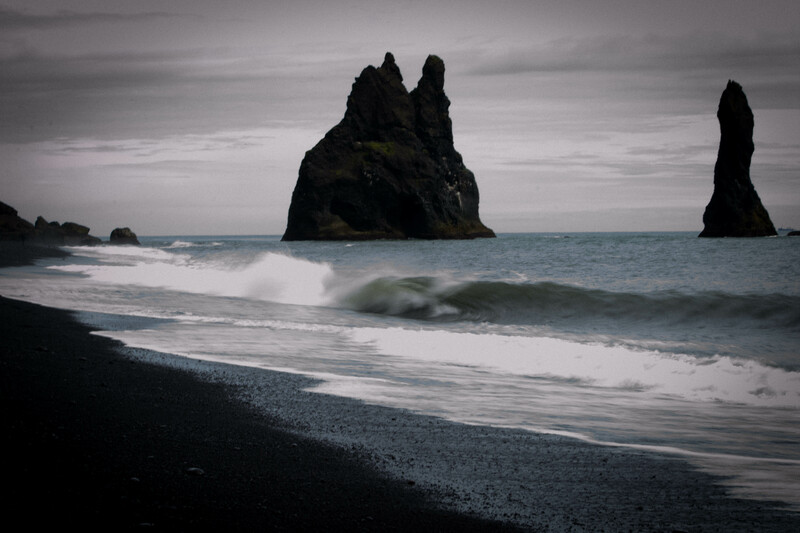 In the sea towards the nearby (and really nice village of Vík) lie the dramatic looking sea stacks called Reynisdrangar. Bird lovers will find a lot of seabirds there such as puffins, fulmars and guillemots. On the way back we stopped at 2 beautiful waterfalls. 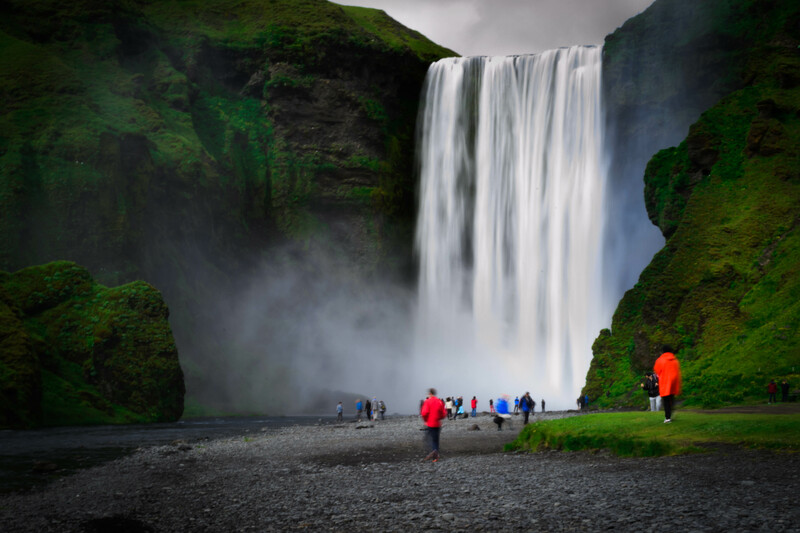 The first stop was Skogafoss – it is an impressive waterfall and you can stand at the base and get a sense of how truly powerful it is! There are also 400 steps to go to the top (for more energetic people) to get different views. The next stop was at Seljalandsfoss. 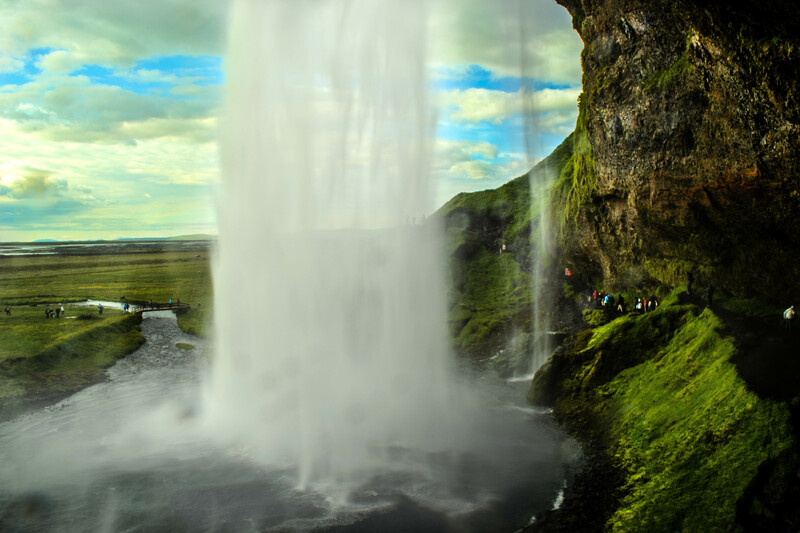 This is the one you can walk around (to be precise you can walk behind the waterfall)! It doesn’t look like much in the distance that is until you come close to it. And of Course! The best part is walking around it. It’s one of those experience you’ll never really get anywhere else and again, I didn’t realize how much in awe I was of the moment until we were stood right behind it, watching the water run down… Bring some sturdy shoes with you when you walk around it – the water and the mud could make for slippery conditions though to be fair, as long as you’re not trying to run across or being reckless, you should be fine. Walking behind was the best part! 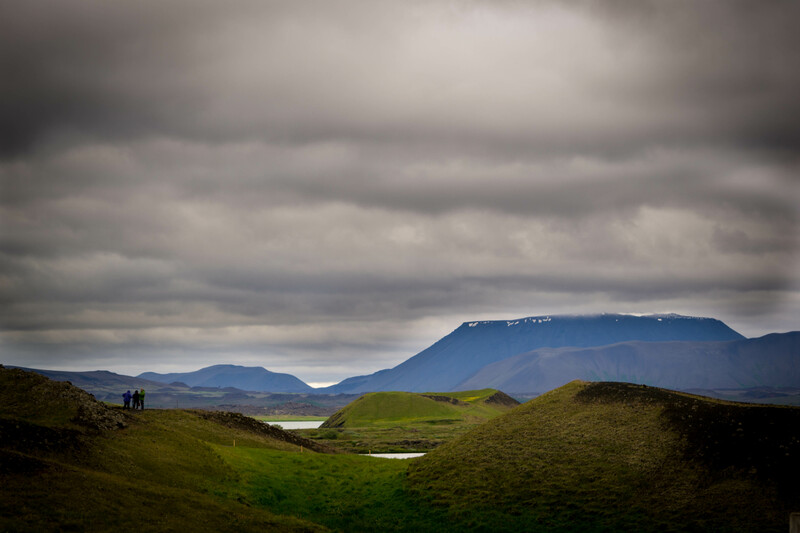 Day 4 – We all know Iceland is incredible, the landscape is filled with gorgeous greens and white snows! Crystal blue ice caves, glaciers and deep blue beautiful sea prove why many movies were filmed here in Iceland! Many of us might not know what lies underneath the ground, maybe something that we never ever could imagine! A beauty that hid underneath for million years with most spectacular natural sights we ever seen in Mother Earth! 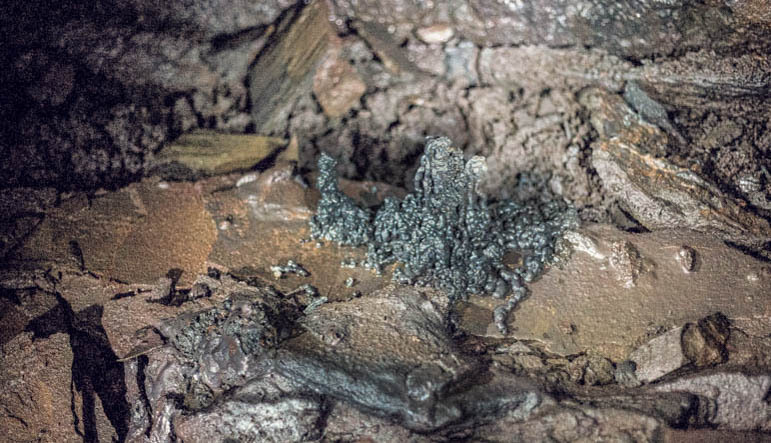 The Leiðarendi cave in Iceland is a perfect example of an Icelandic lava tube and a unique experience to explore this dark and quirky world beneath us. It was a toss between Lava Caving or ride the Icelandic Horse in Iceland that day! I’m sure I didn’t make a wrong choice by making a trip down to Leiðarendi cave at Hafnarfjordur, Iceland (170 meters from main road). Just like visiting the glaciers in Iceland, there is absolutely no way we could do lava caving by ourselves without a guide. 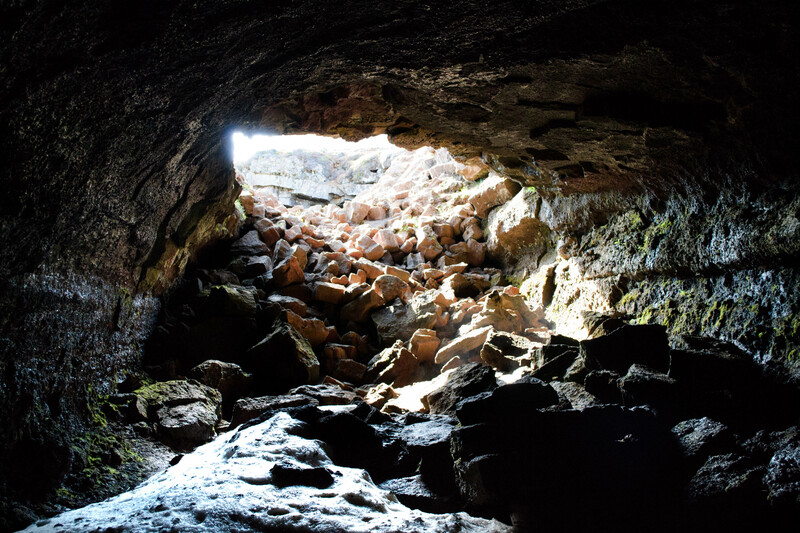 Geared with helmets and flashlights, our guide from Extreme Iceland led us on a walk through a lava field to the narrow entrance of Leidarendi lava tube. Descending into the pit entailed some rock scrambling. No lights were installed around the cave and we entirely had to depend on our flashlights we carried for illumination. Inside the lava cave I saw some of the spectacular lava formations. Leidarendi means “End of the Journey”. It was so named after this skeletal remain of a sheep, which reached its “End of Journey,” was discovered in the cave. It was thought to have fallen from a shake hole and was never able to climb out. The cave opened into wide and high hallways with even floor surface in some places….and in some places it turned into a narrow tunnel where we had to bend and crawl. 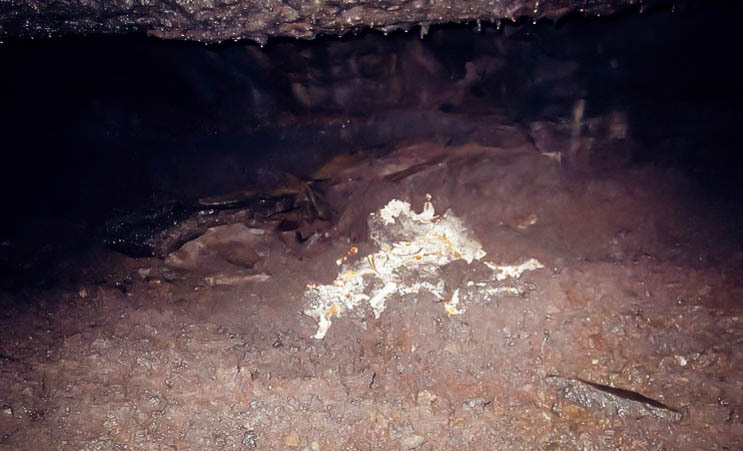 There are about 500 lava tube caves in Iceland and it is believed that there are more that are not yet discovered. Exploring the lava tube cave was a unique adventure that we thoroughly enjoyed and it is recommended if you visit Iceland. The final stop was at the Blue Lagoon. The Blue Lagoon is one of Iceland’s most popular attractions drawing the attention of hundreds of thousands of tourists every year. 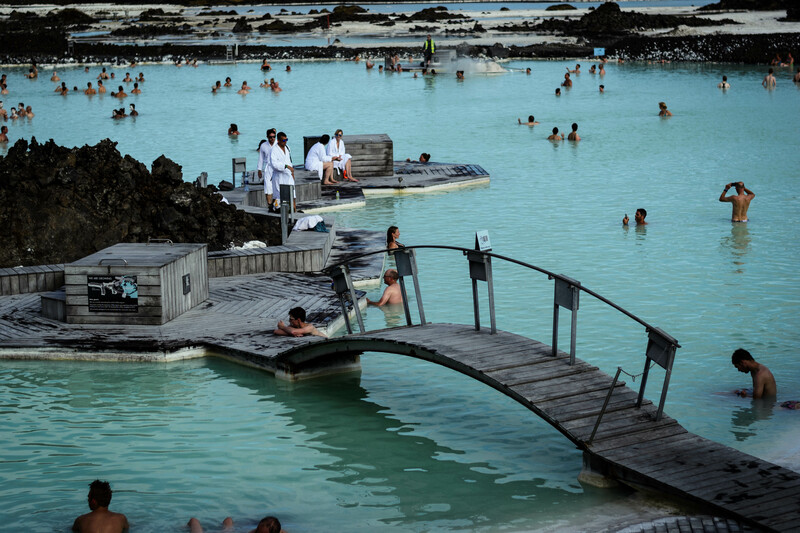 The lagoon is actually a geothermal spa fed by water from a nearby geothermal plant. The actual lagoon sits on a Lava field and the walls that surround the walkway were built from actual lava rock that comes from the field. Sinking into the hot, milky blue water and I swear I could physically feel my muscles relax and give a little sigh of relief. Now, this is the perfect way to end your holiday after all the adventures. The water was hotter than I’d expected with an average temperature of 38 degrees C. It had a thick and silky feel like a bath full of salts and every now and again you’d come to a cool patch of water that was a refreshing relief. There is natural silica mud available in abundance which you can apply on your face to exfoliate. There are also steam baths and sauna rooms available. You need to pre book an entrance time as the lagoon quickly gets filled up. 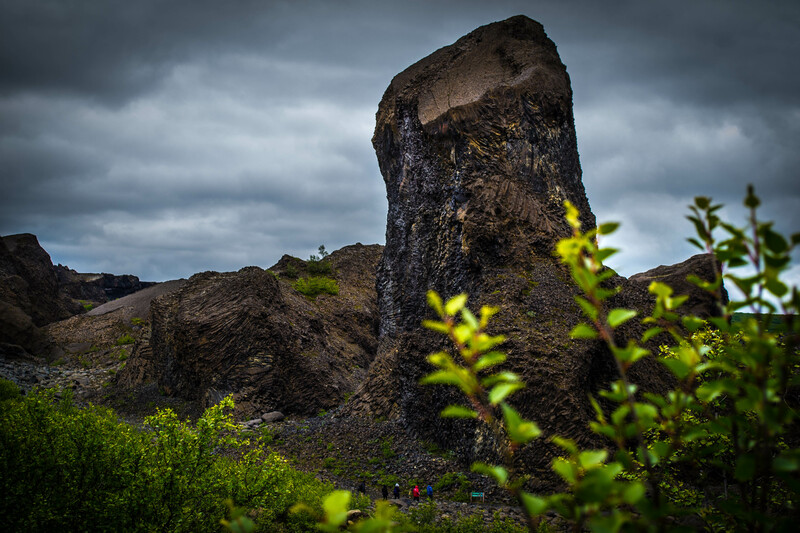 There is a viewing platform where you can see the entire lagoon and across the surrounding lava field. All refreshed I was ready to come back to UK and take on the world!! I have often heard people telling me that you can never visit Iceland just once. Having heard this I used to think of it as a cliche statement and wonder why would people go back to the same place again and again when there are so many other beautiful places in the world. But I was proved wrong, you can never be satisfied by visiting this place once. A country with such immense natural beauty can be visited many times and the first visit is just the prologue of the whole story to be told ahead! Hence I will repeat the cliche statement once again ” you can never visit Iceland just once”. Thanks for the tour of Iceland through the shots taken!! I can understand from the photos itself how exciting it must have been for both of you…. What an interesting Blog. Great pictures too. Thank you, Sam has taken a lot of inspiration from you for photographs. I don’t see myself getting a chance to go there but d blog took me for a real tour of the country. Thanks a lot …waiting for such more.